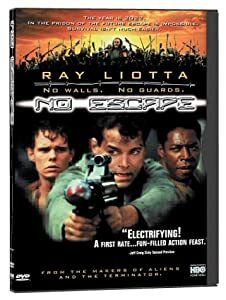 Directed by Bond two-timer Kiwi Martin Campbell, “No Escape” is another of many prison-based films where the inmates are left to their own devices as some form of ultimate punishment. Yes, quite a few of them die but in general, “No Escape” ‘s inmates don’t have it to hard – no shivs in the back during the exercise period nor soap-dropping intrusions in the showers. Divided into two distinct groups – the Outsiders, bearded, savage, “Mad Max 2“-like – and the, can you guess? Insiders, clean-shaven, dignified, softies; they get along as well as two starving dogs in a pitbull ring. Robbins (Liotta) is a former soldier who offed his CO and subsequently escaped from every prison he’s ever sent to. 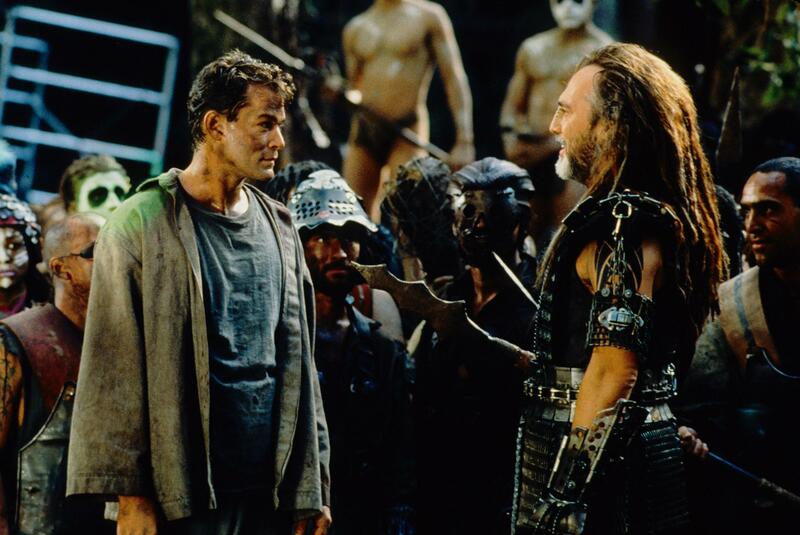 Finally, he’s placed in a – ooh, scary – Level 6 facility, an island which promises the film’s title. First encountering the Outsiders where he’s immediately asked to prove himself in combat, he subsequently escapes the naughty boys and teams up with the nice Insiders, who are planning to escape the island. There’s a lot of back and forth between the two camps for reluctant hero Robbins, being perceived by Lance Henriksen‘s The Father as a potential successor of the Insiders, and as a worthy and challenging opponent by Outsiders leader Marek (Stuart Wilson). Acceptable fare then, and worth a look with a few beers if you stumble across it on Netflix.